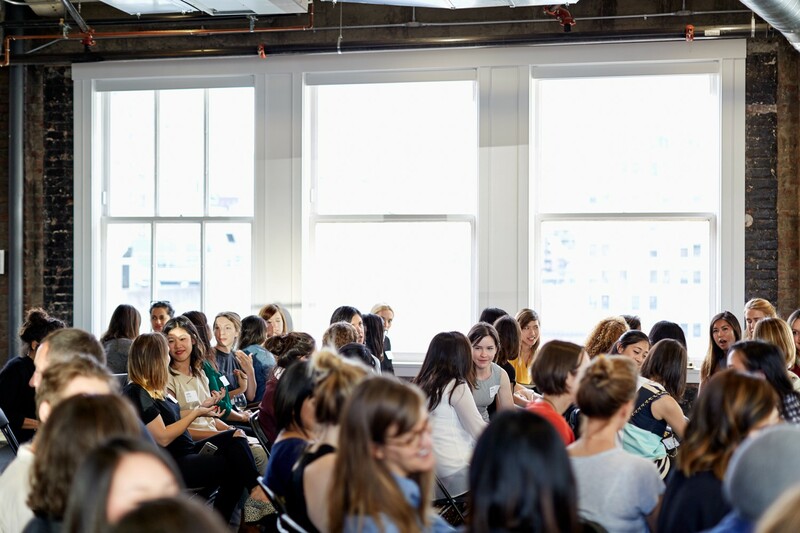 On April 19, 2016, Designer Fund hosted the fifth Women in Design event at Medium’s office in downtown San Francisco. 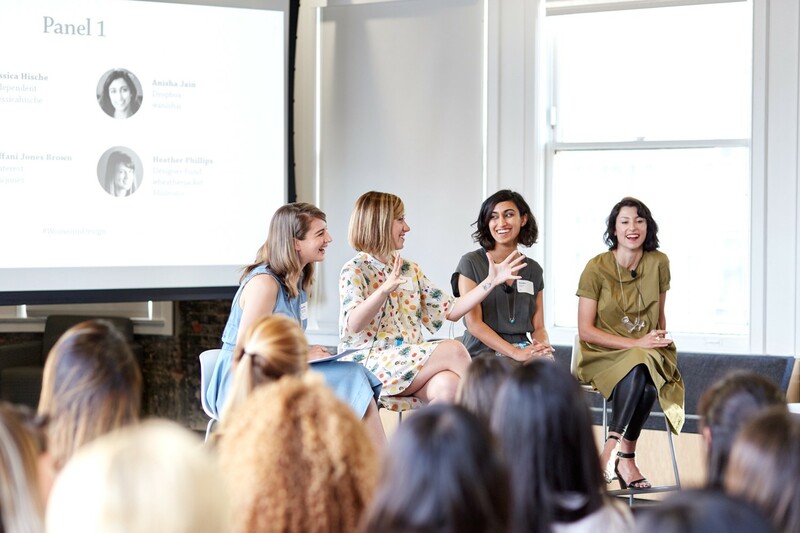 Historic buildings painted a stunning background for the evening, during which top designers were treated to an intimate look at the inner worlds of six prominent female leaders in design and tech. Maria Molfino, women’s leadership coach and host of the Heroine podcast, provided the wider context for the event’s theme on voice and risk. Female voices, she argued, are underrepresented in professional settings, from entry-level positions to the C-suite. 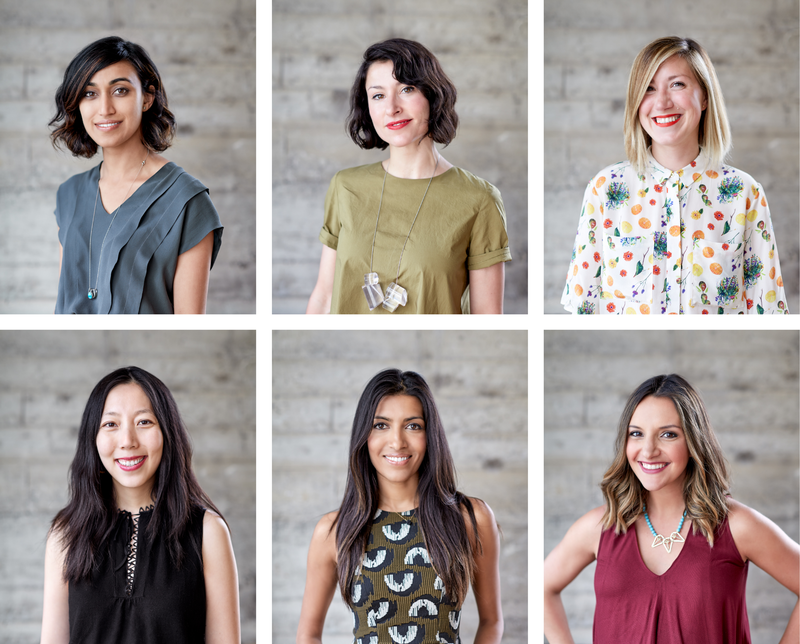 But when women become more visible, they’re subject to extra criticism and backlash, whether they’re simply sharing their talents or pitching their voices into more charged discussions like negotiating salaries, raising venture capital, and speaking out against sexism. Maria says that despite this reality, women should take risks and express themselves in order to find fulfilling careers and create a diverse and inclusive future. Heather Phillips, Design Manager at Designer Fund, helps designers land roles at top companies that align with their values and career goals. 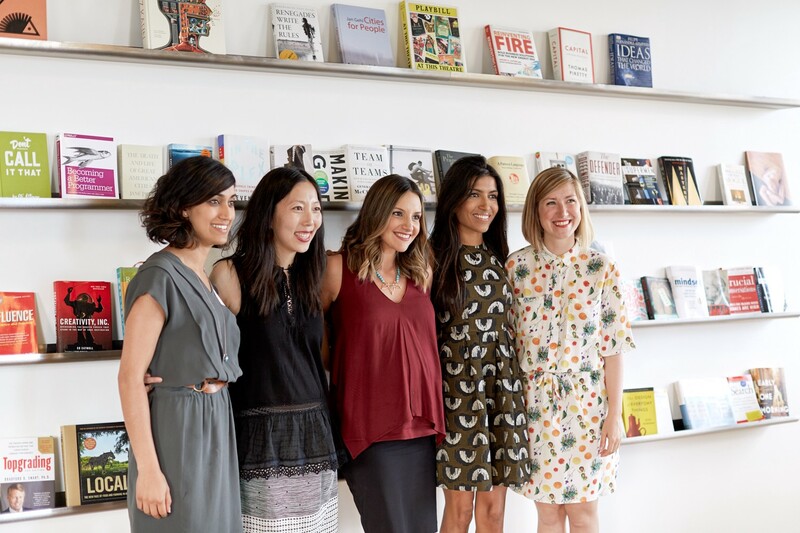 She joined Maria to lead roundtable discussions with Anisha Jain (Dropbox), Tiffani Jones Brown (Pinterest) Jessica Hische (Independent), Julie Zhuo (Facebook), Leila Janah (Samasource), and Brit Morin (Brit + Co). They shared stories about internal self-doubt, criticism from the outside world, and how they found the right channels for their voices. Insight: Collect data, look at results, and check whether reality matches your assumptions. In Leila’s case, she couldn’t argue with the numbers: Samasource has moved over 7,600 workers and their families — about 35,000 people — out of poverty, from living on $2 per day to $8 per day. These reports, and Facebook messages from workers themselves, remind her she’s on the right path. Brit Morin, CEO and founder of Brit + Co, was also 25 years old when she started her company and she didn’t always feel confident in her business decisions. As she put it, “You don’t have a ton of experience when you’re 25.” She sought advice from as many mentors and advisors as possible, until one day a coach told her to start going with her gut. So she did. When she looked back at her track record, she realized that most of her independent choices turned out to be right. It became easier and easier to trust her own leadership abilities as the company grew, and today Brit + Co attracts 80 million visitors per month. Internal doubt can also sound like other people’s voices. You might worry about what they think of you and how they judge your abilities. Julie Zhuo, VP of Product Design at Facebook, has found that these voices are often wrong because they’re projections of her own fears, and that her imagination is always scarier than reality. One of Julie’s most important professional experiences in 10 years at Facebook was a 360-degree feedback evaluation: a 30-page report revealing what 20 of her closest colleagues thought of her. She took the report home, grabbed a cup of coffee, and cracked it open. Anisha Jain, Design Leader at Dropbox, pointed out that inner voices never really go away, they just change as you get older. But all of our speakers have found ways to express themselves and step into leadership anyway. “I think we all have a vision for something,” Tiffani said. “If you believe in something deep in your gut and in your heart, it’s probably going to be inspiring to other people.” She acknowledged that finding the right way to articulate your worldview is difficult, but that this work is also important and worthwhile. Insight: Start sharing your voice. You just need to find the medium that works best for you. Your voice can take many forms, from expressing your values through your job to publishing thoughts in writing, video, or audio. All of the panelists tinker with different media and have diverse online presences comprised of Medium posts, blogs, websites, guest articles, speaking gigs, guest spots on TV shows, and, recently, Facebook Live broadcasts. The panelists also shared insights about how to make sure your voice is heard in collaborative settings at large companies. The meetings issue resonated with several panelists and audience members. Fielding a question about this, Anisha shared her go-to tip: walk up to the whiteboard, grab a marker, and capture what people are saying in real time. This allows you to frame the conversation and make sure your viewpoints are seen. You can also summarize the discussion in docs and emails after the meeting is over. Jessica Hische, an independent lettering artist, also strives for balance in conversations, but for her, it’s about using her voice and helping other people feel heard too. “I love talking and am very dominating in conversations. I have to keep it in check all the time.” Navigating meetings with her clients can be tricky, because they’re “basically phone calls with a whole bunch of alphas” — she’s the alpha of her company, her clients are the alphas of theirs — and often everyone is just waiting for their turn to speak. To make space for all voices, including hers, Jessica “whiteboards” what people are saying in her head while they talk, then verbally summarizes their viewpoints alongside her own. For Leila, entrepreneurship itself was the best platform for her voice. In 2005, she was “a lonely researcher in the basement of the World Bank, the last place that a young woman without a PhD in economics can have a voice.” She knew she would never be recognized in such a big enterprise, so she took a big risk: she quit her job and started her own project. And it came full circle: by 2013, the World Bank had cited Samasource as an example in an Innovation for Job Creation report. Once you start getting your voice out there, your next hurdle is to deal with backlash, which our speakers confirmed is an inevitable reality of becoming a leader. Leadership and career growth have an ugly underbelly. Peers, friends, family, and the internet peanut gallery hurl disappointment and criticism at female leaders. This hurts, but it’s no reason to hold back. Insight: The bigger you go, the more negativity you may encounter from outer voices. Treat criticism as a sign that you’re onto something. Even your personal career growth can attract negative voices. “If you care about doing your best, every time you change course, you’re disappointing people — people on your team or people who believed in what you were doing,” Anisha said. This can be painful when you outgrow an old role, switch industries, or jump to a new organization. 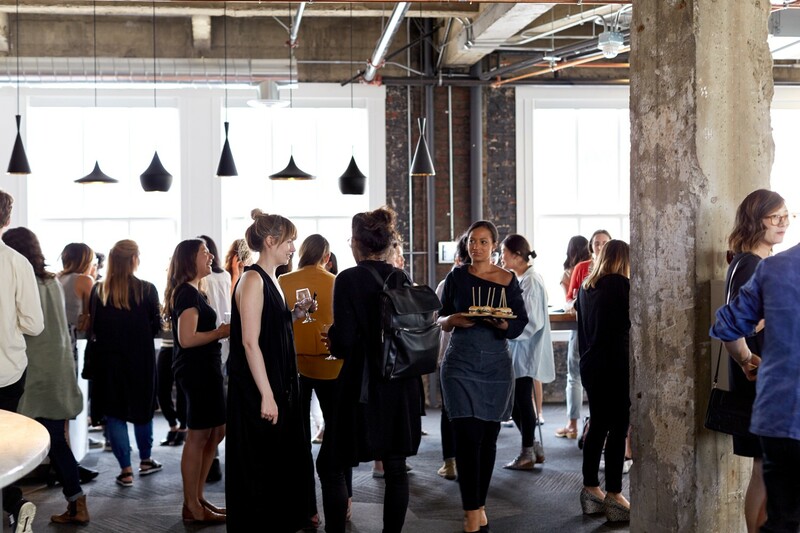 Women in Design: Voice and Risk is the fifth Women in Design event hosted by Designer Fund. 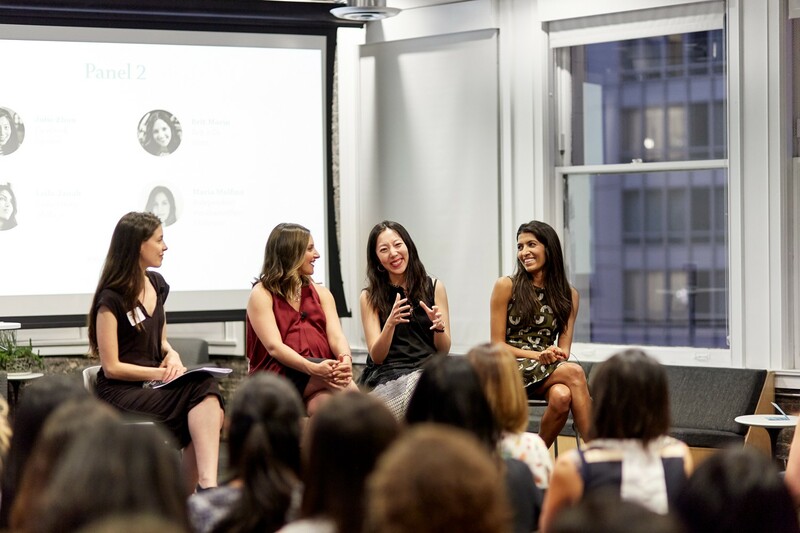 This event was sponsored by Medium and Dropbox and supported by women-owned businesses including Voz, Picnic on Third, and Melanie Riccardi Photography. To hear about future events, get email updates here. If you’re a designer actively seeking new opportunities with top tech companies, like Medium and Dropbox, please tell us more about yourself here and we’ll be in touch. Nathalie Arbel is a writer and editor for mission-driven tech companies. All photos by Melanie Riccardi.